Young professionals of corporate offices just love food deliveries during special occasions in the office. 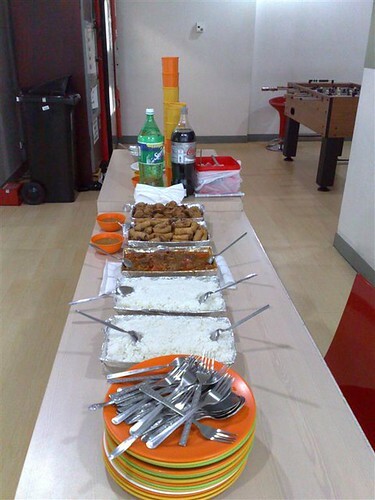 Be it a birthday, regularization, promotion or even an employee's last day, food treat is automatic. 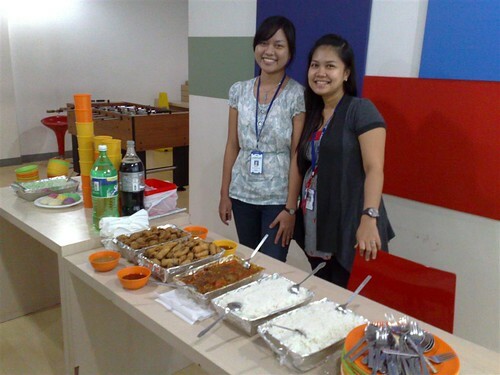 Weeks ago, the team's July birthday girls Jufi and Kaye were thinking of ordering some food for the team. Contrary to what's expected, they didn't order the usual Amber's, Pizza Hut, Yellow Cab or other pancit bilao or monster pizza out there. Nagpa-cater sila! And no, it's not that expensive. CCME Homemade Foodstuff - time for a change! The birthday girls probably realized that it's time to try something different. CCME Homemade Foodstuff offers catering services at affordable prices. You can order food from them and have it delivered right at your doorsteps/office. 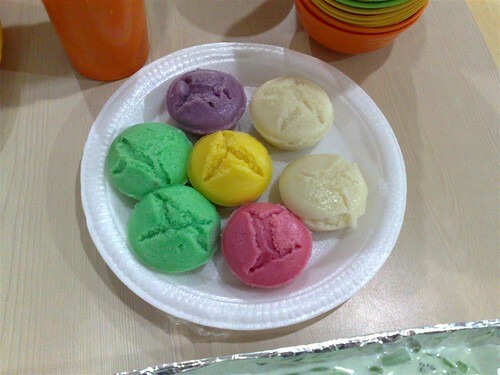 I think this is a very good alternative to the usual pasta and pizza treats in the office. 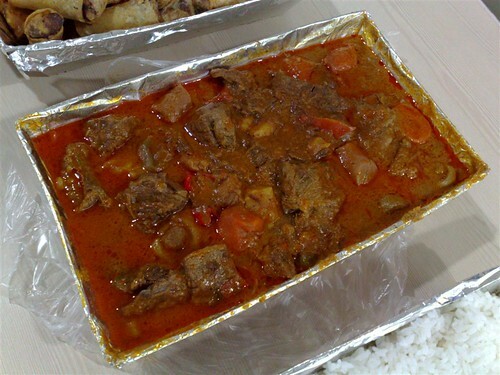 Beef Kaldereta / Caldereta (P700) - this is the house specialty and one of the best sellers. I ate a lot of this. The meat comes to the point that the chunks are literally torn apart which I prefer as it shows how tender it is. This is the first dished that has been wiped out. 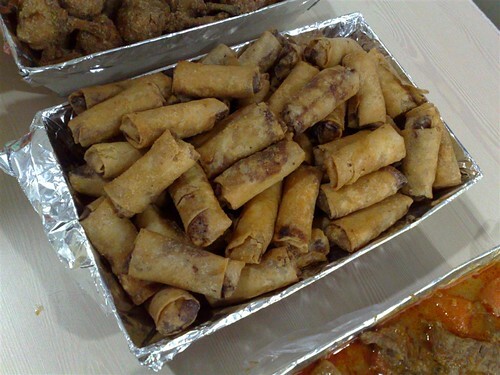 Lumpiang Shanghai (P450) - I believe this is around 80 pieces per order. Taste is just good but I appreciate that the rolls have enough meat inside and doesn't consist of just thick over rolled wrappers. 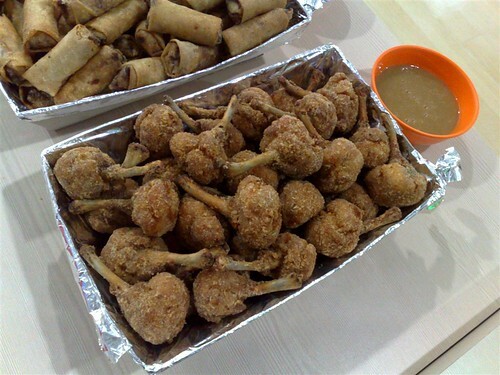 Chicken Lollipop (P580) - around 40pcs per order. Masarap papakin 'to plus gravy. 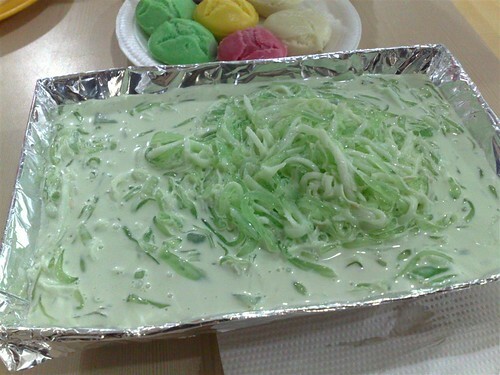 Buko Pandan (P360) - Save room for dessert. I like their Buko Pandan because it's not overly sweet (remember, I'm diet conscious). The buko is also quite generous and, unlike others, hindi eto dinaan sa gulaman. And there's a free plate of puto. CCME Homemade Foodstuff is based in Quezon City but they do deliver to other nearby cities and provincial towns (as mentioned on their website). The delivery charge here in Fort Bonifacio, Taguig City is P150, cheap considering the distance! The food is generally above average and the prices are reasonable. I also like to emphasize the quite generous servings. Around 15 persons kaming kumain at may natira pa, hindi sa hindi masarap, pero dahil malaman ang servings. I (We) highly recommend this as an alternative to the common spaghetti, pancit and pizza that we order in the office for delivery. Thanks Jufi and Kaye for this lunch treat! Nakatipid ako sa supposed to be Friday lunch out :). Very nice review, I really enjoyed reading this blog post. convinced to order from them soon.